Get Ready for Nutrition Month! 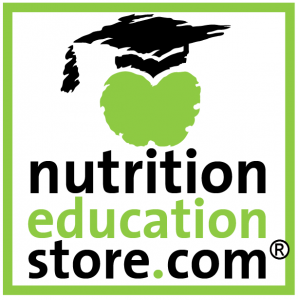 March is National Nutrition Month -- do you have everything you need to teach engaging and timely nutrition lessons? Even in the age of digital media, newsletters are here to stay. But are your newsletters a cut above the rest? Don't miss these valuable tips that will take your newsletters from good to great! 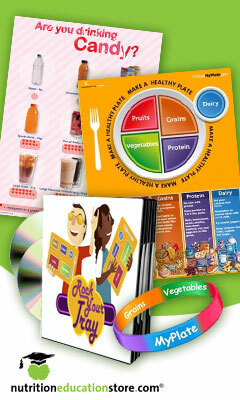 At Food and Health Inc, we pride ourselves on the high quality of our posters, handouts, games, books, and presentations. In almost 20 years of business, we've learned a lot about what works and what doesn't, and now we'd like to share some of that knowledge with you. The 5 Mistakes of Label Reading sum up the 5 most common mistakes made when shopping for packaged foods in the grocery store. How many times do people ignore Nutrition Facts Labels, choose packages and bottles that look like one serving but are really more, buy items that contain way too much sodium, or imagine they can munch all day on lowfat or sugar free items? People appear to be drawn to cleanses, no matter how bad the health consequences of cleansing are. If that's what they want, there's a way to give it to them without endangering their health. Offer a balanced alternative to the cleansing crowd with this free handout, The Dietitian's Cleanse. Developed by Lenore Shamah, MS, RD, this "cleanse" is healthful, balanced, and won't endanger people's hearts. National Nutrition Month is just around the corner! Do you have everything you need to help your clients savor the flavor of eating right? This dish can be a fast weeknight meal or a festive addition to a dinner party. Yesterday I realized that one of my most ingrained healthful habits for busy days has not yet been shared with you. I'm talking about creating balanced and portable meals to eat on the go. What do you know about cooking with greens? Today I want to take an in-depth look at 5 great greens -- what their nutrients are, what they taste like, and how to cook with them. There's even a free infographic! By now, I bet your clients have already learned the basics of portion control. I've offered tons of handouts about ways to get started and manage portions effectively, and I've gotten to hear about lots of amazing portion control activities from you, you wonderful readers. But is that all there is to the portion control story? I say no, and that's why I'm presenting 3 new ways to improve portion control. Today's recipe will help you add more fiber to your diet, while upping the flavor of a truly amazing dish. Today is the day. The last post in the 10-part flavor series is finally here! We've had such fun reviewing and exploring healthful ways to boost flavor so that your clients can Enjoy the Taste of Eating Right. So what's the grand finale? Well, it's one of the most healthful ways to give food a very serious kick of flavor… with spices! It's that special time of the week -- the time when we unveil the next installment in our 10-part series on ways to explore healthful flavors! This week we're going to focus on avocados and, as always, this discussion will include a look at the health benefits of avocados, how to use them in meals, and recipes that feature their deliciousness. Plus, there's a free handout with one of our very favorite recipes. Looking for healthful menu ideas this March? Look no further! This tasty, inexpensive, and creative menu will breathe new life into your meals. The 10-part flavor exploration continues! Today's post features greens -- what they are, when to use them, how they add flavor, and why they're good for your health. There's even a free recipe handout to help your clients explore the rich flavor of greens right away! Today's installment in the 10-part series about helping your clients celebrate Nutrition Month by Enjoying the Taste of Eating Right continues with a bright, inexpensive, and delicious fruit: apples. The FDA has proposed an update for the Nutrition Facts label on packaged foods. This update would reflect the latest scientific information, including the link between diet and chronic diseases like obesity and heart disease. The proposed label would also replace out-of-date serving sizes with options that reflect how much food people actually eat. It would even feature a fresh design that highlights key parts of the label (like calories and serving sizes). We asked our dietitian editor, Lynn Greiger, RDN, CDE, to give us her opinion about the proposed changes and how they will affect nutrition educators and consumers. Here are her 4 likes and 2 dislikes for the proposed label. Today we continue the great flavor exploration with one of the most famous flavor-boosters around: garlic. Nutrition Month can be fun for the whole family! Don't leave kids out of the loop -- these lessons are important for them too. To help with that idea, and to finish off our week of bonus Nutrition Month posts, today we bring you a wonderful handout that offers a perfect way to introduce important information about nutrition. The 10-part series on ways to Enjoy the Taste of Eating Right continues! Last week, we talked about the health and flavor boosts that berries can give to a meal. This week, we're going to do the same with vanilla. How will you help your clients enjoy the taste of eating right this March? If you're not sure where to start, or if you would like to round out your program with some fun recipes and activities, then check out this amazing new series, focused on flavorful foods. This post features berries, exploring their health benefits and flavor-boosting properties. Check it out! It's Nutrition Month! This week we want to put you through some bootcamp. No, we're not talking about the grueling exercise class, nor the military program. Instead, we've put together a comprehensive Nutrition Bootcamp that offers basic training for all your nutrient needs! Nutrition Month is winding down, but we're still going strong! Today we bring you a list of 8 danger zones that can throw off a healthful eating plan when dining out. But don't worry, we don't stop there. We also offer creative and simple solutions that will help you steer clear of each danger zone. We love Nutrition Month almost as much as we love our readers. That's why we put together this guide to portion sizes. Feel free to print it out and distribute it to your clients. Nutrition Month is finally here! We have been waiting to celebrate for a long time now, but we've also been wondering about where to begin. After we put our heads together, we decided we'd like to start with making a healthful and balanced plate. This lesson can help revitalize meal habits and is a great way to begin a push toward a healthful lifestyle. Our Nutrition Month celebration continues with a scientific guide to snacking. The guide was crafted by James J. Kenney, PhD, FACN. Though originally written solely for our member library, part of this article is now available here -- just for you. Nutrition Month is just around the corner -- do you have the resources you need? We know it is not so warm everywhere as here so we thought we would share some tropic love and particularly to get ready for Nutrition Month - back to basics - why not develop a love of fruit and learn about new ones!? Do you know how much sugar is in soda, breakfast pastries, fruit yogurt, sports beverages and chocolate bars? You might be surprised when you see actual photographs of serving sizes and the amounts of added sugar, fat and sodium they contain. There is good news in our game though - salads, vegetables, fruits and vinegars are all better choices!